Thanks to the beroNet Cloud, Solution Providers and Carriers can manage their beroNet equipment from any web browser and have a powerful tool to manage their beroNet devices population. The devices communicate from inside the firewall with the cloud, without compromising security, since no signal from the outside reaches the inside. 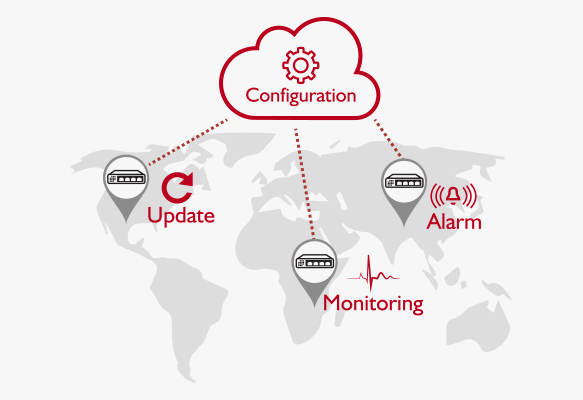 Update, Remote Manage beroNet devices in multiple locations, manage projects and many more. With the easy to use Web GUI of the beroNet Cloud, beroNet VoIP Gateways, Appliances and PCI(e) Cards can be easy and safe administrated. Everything in sight: with the dashboard, all stats of the devices can be recognized at a glance. Need a feature that you don’t see? Contact us directly by writing an email to sales@beronet.com. If we don’t have it, we can build it or introduce you to our API.